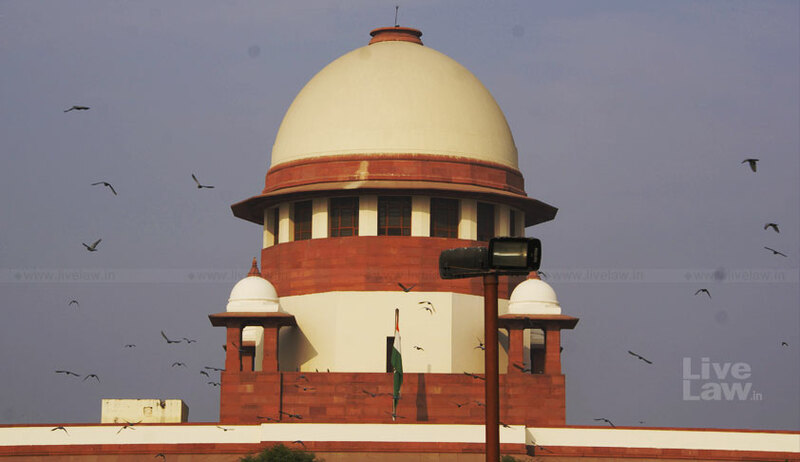 The Supreme Court on Monday issued notice on a special leave petition (SLP) preferred by the Rajasthan Waqf Board chairman against the High Court's judgment setting aside his nomination as a member of the board. Sayyed Abubakra Naqvi, the petitioner, was nominated as a member of the Waqf Board under Section 14(1)(c) of the Waqf Act, 1995 by the state government in March 2016. He was subsequently appointed as chairman of the state Waqf Board. Naqvi, in his petition, has submitted that he has been the president of the Muslim Mahasabha Sansthan since 2004, and the secretary of the Rajasthan State Employees Federation as well as the president of the Rajasthan Primary and Secondary Teachers Federation. Further, he stated that he has been working for "the objects of the society in relation to education, employment, removal of bad habits, for special insistence on Hindu-Muslim unity, developing patriotism, spreading and circulating the schemes of the government to the society, insisting on education for Muslim women etc". It is his case that after an inordinate delay of more than a year from the date of issue of the notification of his nomination, the same was challenged before the Rajasthan High Court by the respondents, who are neither interested persons for the purpose of Section 3(k) of the Act of 1995 nor are aggrieved in any manner. Thereupon, the high court had deemed him ineligible for being nominated as a member on the ground that there was no evidence of him engaging in any 'social work' as prescribed under Section 14(1)(c). The petition contended that Naqvi duly satisfies the requirement of the said Section 14(1)(c) and his nomination as a member of the Rajasthan Wakf Board was legal and valid. It has been averred that the original Section, as it stood prior to the 2013 amendment, required the state government to nominate as member one who represented any eminent Muslim organization. The amended provision stipulates that 'one person from amongst Muslims, who has professional experience in town planning or business management, social work, finance or revenue, agriculture and development activities' is to be nominated by the state government. The single judge of the high court, in allowing the writ petition and setting aside his nomination, had placed reliance on the judgment of the Karnataka High Court in Karnataka Wakfs Protection Joint Action Committee & Anr. v. State of Karnataka & Ors. and of the apex court in Central Electricity Supply Utility of Odisha v. Dhobei Sahoo & Ors. "A perusal of the bio-data submitted by the petitioners reveals that the non-petitioner was in service as PTI till 4th February, 2016. If the details given in the bio-data are looked into, then it would reveal that as Chairperson of the Muslim Mahasabha Sansthan, Rajasthan, he worked to connect the Muslim society with BJP, the political party...No doubt, it is true that the non-petitioner No.3 was General Secretary of the Rajasthan Rajya Karamchari Mahasangh and also the President of the Rajasthan Prathmik and Madhyamik Shikshak Sangh, but no social work undertaken by him has been described. The question is as to whether the holder of these two posts can be taken to be a social worker...," the judge had remarked. The single judge had also found Naqvi in violation of Rule 7 of the Rajasthan Civil Services (Conduct) Rules, 1971, which restrains government servants from taking part in politics. Affirming the judgment of the single judge, a division bench of the high court had observed, "Before proceeding with the matter, it will not be out of place to mention that the appellant was a government servant and voluntarily resigned only on the 4.2.2016, and he has been nominated on 9.3.2016. The Counsel for the appellant failed to establish that the appellant fulfils the criteria laid down under Section 14(1)(c) of the Act of 1995... The organization, which the appellant claims to be a Muslim Organization, was never affiliated to any of the Muslim Organizations. There is nothing on record to show that it has been recognized by the Wakf Board. Merely because the organization is doing work for the party in power will not make it an eminent organization as laid down under Section 14(1)(c) of the Act of 1995. The meaning of word ‘Eminent’ as defined in Oxford Dictionary means ‘(of a person) famous and respected within a particular sphere'..."
The bench had proceeded to opine that though the organization comprised over 20,000 members, but for an organization to be an 'eminent Muslim organization' for the purpose of the Act, it must be one serving the interests of the community at large, irrespective of its classification into the Shias and Sunnis, and devoid of any favour. With the vacation bench of Justice Adarsh Kumar Goel and Justice Ashok Bhushan seeking the response of the state of Rajasthan and others on the SLP, this shall be the occasion where the apex court interprets the phrase 'social work'.